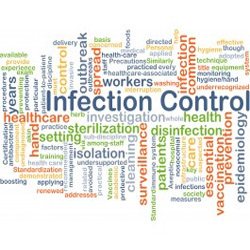 Sterilization of medical tools is a complicated process for physical or chemical destruction of all microbial forms, including spores and viruses. According to the well-known requirements, medical instrument is sterile if its probable bioburden is equal to or less than 10 to the minus 6 degrees (0.000001). Sterilization reel and pouches are among the most popular sterilization control products. All medical tools that will come into contact with the patient’s blood, mucosa or wound and may impair its integrity must be sterilized. 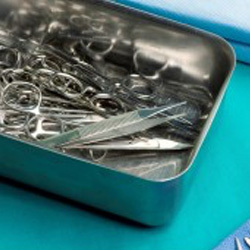 And the preservation of sterile instruments, for example, during the transportation, is one of the basic rules of successful sterilization. Sterilization reel and pouches are suitable for the medical sterilization of two types – air and steam. In the first case, the tools processing is performed with hot air in the second – with a steam under pressure. According to the standards it is allowed to leave sterilization reel and pouches with contents for 15 minutes at 1340 C in an autoclave, and for 1 hour at temperatures up to 180 degrees in a hot air oven. These sterilization tools can be closed by using valves with an adhesive layer, protected anti-adhesive paper, or clips that are hermetically sealed from the top with the masking tape. In case there is the indicator, it can change color reporting that the contents of the package have been processed. Sealed package after sterilization is a completely impervious to germs, but breathable and adapts to the microclimate of the premises. Sterilization reel and pouches maintain the sterility up to 24 months if they are closed with valves and up to three days – with clips fixation.